With March still several months away, it’s impossible to know which non-conference match-ups will actually prove critical once Selection Sunday arrives. But we here at the Other 26 microsite can certainly take an educated guess. Here are 11 pre-January contests that we think may play a significant role in deciding which O26 contenders will be in position to earn at-large bids on March 12. Princeton at Brigham Young – November 14, 10:00 PM EST, ESPN2. BYU essentially struck out in non-conference play last season and wound up paying the price on Selection Sunday. The Cougars’ margin for error may be even slimmer this year. As it stands, Princeton (#39 RPI in 2015-16) is probably BYU’s best non-league opponent, making this Tip-Off Marathon home tilt critical for Dave Rose’s offensively gifted group. For the Tigers — who also play VCU, California and Monmouth in the season’s first two months — a victory at the Marriott Center would be a giant feather in their non-conference cap. San Diego State at #14 Gonzaga – November 14, 11:59 PM EST, ESPN2. If the Mountain West has another down year, San Diego State could find itself with a very hollow resume come March even if it lives up to its preseason billing. 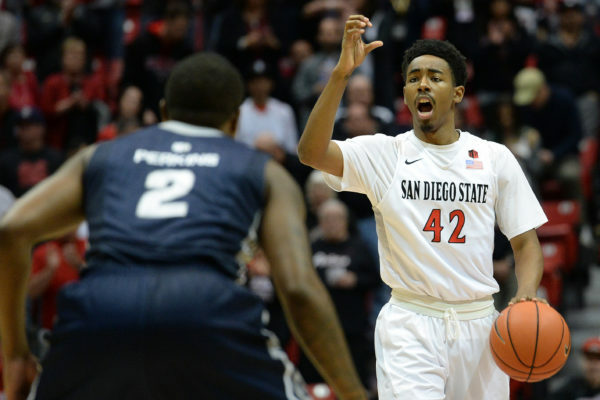 The Aztecs simply don’t have many opportunities for quality non-conference wins. Luckily, the bulk of their roster back, and the addition of two power-conference transfers should enable one of the nation’s most effective defensive teams to become more impactful on offense. Which is to say that Steve Fisher’s group should be able to compete with a talented-but-unproven Gonzaga unit, especially early this season. A win in the Kennel would be huge. #17 Saint Mary’s at Dayton – November 19, 2:00 PM EST. Dayton is 14-1 in non-conference home games over the past two seasons, so this matchup against a top-20 team presents a great opportunity for a resume-defining win. The Gaels, meanwhile, don’t have much meat on their non-conference schedule (per usual). A tough road victory at Dayton Arena could help them avoid more Selection Sunday disappointment. San Diego State vs. California – November 21, 11:00 PM EST [Sacramento]. Both of San Diego State’s major non-conference opportunities come in the span of one November week. After taking on Gonzaga in the Kennel, the Aztecs will travel to Sacramento’s brand new Golden 1 Center to play California. Steve Fisher’s team, which stunned the Bears in Las Vegas last season, should more than capable of winning this game. Depending on what happens a week prior in Spokane, it may need to. Virginia Commonwealth & Wichita State vs. Battle 4 Atlantis field – November 23-25, ESPN & AXS TV [Bahamas]. Both KenPom and Sports Illustrated peg the Rams and Shockers as top-35 teams, which not only makes them NCAA Tournament hopefuls but also legitimate contenders to win the Battle 4 Atlantis. Wichita State, now entering the post-Ron Baker and Fred VanVleet era, takes on LSU before a potential semifinal matchup with #13 Louisville. VCU, equipped with two Atlantic 10 Preseason All-Defensive Teamers, battles Baylor before a possible matchup with #12 Michigan State. All of those teams are beatable — including the injury-plagued Spartans — which makes this tournament a feasting ground for big-win opportunities. Of note: This will be Conner Frankamp’s second appearance in the Battle 4 Atlantis; the Wichita State point guard saw minutes with Kansas during the 2013 event before transferring at season’s end. Princeton at Virginia Commonwealth – November 29, 7:00 PM EST. Joe Lunardi went so far as to slot Princeton as a #9 seed in his debut bracket. VCU (a #10 seed, for those who care) may be either brimming with confidence or starving for quality wins, depending on how the Battle 4 Atlantis goes. Either way, it will be fun to see how the experienced, efficient Tigers fare in one of the college basketball’s more hostile venues. #23 Rhode Island at Valparaiso – November 29, 8:00 PM EST. Rhode Island should have several opportunities to prove itself this season, including a bout with Cincinnati on November 19, so a win here might not be necessary. For Valparaiso, this game — which it won at Rhode Island last year — may be essential. If the Crusaders beat the Rams, knock off Alabama and BYU in the MGM Main Event, then roll through their Horizon League schedule — all legitimate possibilities — they could have nearly 30 wins come Selection Sunday. That may be hard for the committee to pass up, especially with a potential March star, Alec Peters, leading the way. Expect this game to be a defensive grinder. UT-Arlington at #21 Texas – November 29, 8:00 PM EST, Longhorn Network. Last year, Kevin Hervey’- (15 points, 15 rebounds) Mavericks nearly upset Texas, losing 80-73 in overtime. This year, the Longhorns are dealing with some adversity to start the season. 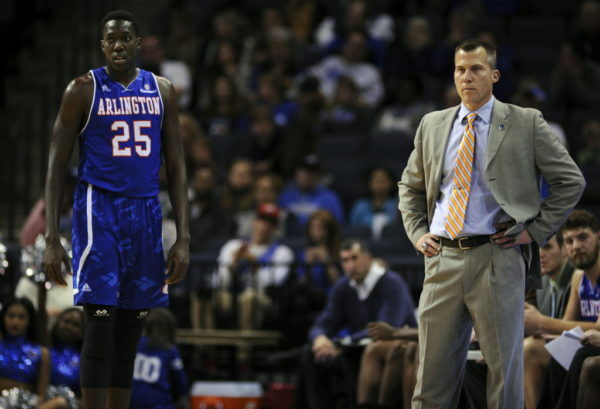 With Hervey back from ACL surgery and an experience roster surrounding him, UT Arlington is capable of pulling off a stunner in Austin. Road tilts with Arkansas and Saint Mary’s will also offer Scott Cross’ group a chance to prove itself. #14 Gonzaga vs. #10 Arizona – December 3, 5:30 PM EST, ESPN [Los Angeles]. This game has been downright excellent each of the past two seasons, and this year should be no different. Both teams are talented but unproven, with Gonzaga banking on three highly-touted transfers and Arizona relying heavily on youth. Interestingly, those Bulldog transfers — Nigel Williams-Goss (Washington), Jordan Mathews (California), and Johnathan Williams (Missouri) — have actually played against Arizona 10 separate times dating back to 2013-14, including Mathews’ 28-point performance this past January. The Wildcats have won the last two match-ups by a combined eight points; expect similar drama on a neutral court this time around. Princeton at Monmouth – December 20, 7:00 PM EST. The Battle for New Jersey? Absolutely. Come late December, at least one of these teams could be building an at-large argument, which makes this Garden State matchup especially juicy. Both clubs return nearly their entire rosters from last season, and each features a rising-star coach — Princeton’s Mitch Henderson and Monmouth’s King Rice — who may not be long for the mid-major ranks. Of note: the Tigers and Hawks went a combined 9-0 against intra-state opponents in 2015-16. UNC Wilmington at Clemson – December 28, 7:00 PM EST. UNC Wilmington should be the class of the Colonial Athletic Association this season, but can the Seahawks do enough to warrant at-large consideration? A bulk of their non-conference slate comes away from home, so probably not. But then again… maybe. If they can reach late December with minimal damage and upset Clemson in Littlejohn Colesium… you just never know. This entry was posted on Monday, November 7th, 2016 at 8:31 am by Tommy Lemoine	and is filed under feature, microsites, other 26. Tagged: atlantic 10, battle 4 atlantis, brigham young, california, dayton, gonzaga, horizon league, ivy league, missouri valley, princeton, rhode island, saint mary\'s, san diego state, texas, ut-arlington, valparaiso, virginia commonwealth, wcc, wichita state. You can follow any responses to this entry through the RSS 2.0 feed. You can leave a response, or trackback from your own site.